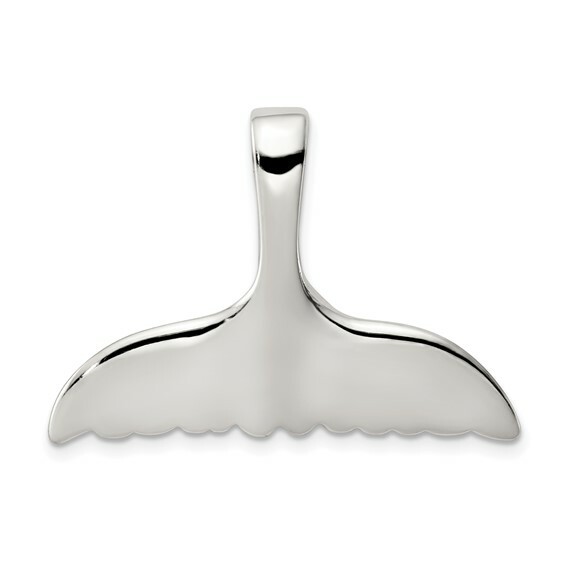 Sterling Silver Whale Tail Slide. Weight:4.59 grams. Item measures 15/16 inch tall by 1 5/16 inch wide without bail. Fits up to 8mm wide chain.